In the Old Testament, Isaac was the son of Abraham. Abraham and his wife Sarah could not conceive a child for many, many years. God kept promising offspring to them, but they just couldn’t see how it would happen. At one point, they became impatient and Abraham lay with his wife’s maidservant and produced Ishmael…but that was not the offspring God had spoken of; that was not the fulfillment of God’s promise! He continued to share His promise with the couple, even sending angels to tell them. Sarah laughed as an old woman when they told Abraham that she would have a child within the year. How impossible and ridiculous for an old, barren woman to conceive and birth a child! Yet, the point here is not the physical ability of Sarah and Abraham, but the power, authority, faithfulness, and love of God! Sure enough, within the year, Isaac was born to an aged, barren couple! This is significant to us for a couple of reasons. Firstly, we prayed and prayed to know if God wanted us to have children. We asked Him to fan the flame or take away the desire in our hearts so that we would know His will. Every time we prayed – for over a year – the Lord would answer, strongly convicting us to pursue children. Every time we would ask if He intended for us to be parents, the desire in our hearts would grow stronger and deeper. Many places in our journals we can point to specific times we knew God was telling us that He would satisfy our desire for children: a desire born of Him. 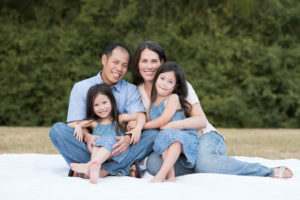 In the months of considering IVF/ICSI, there was debate in our marriage over what God would have us do. Would He have us wait for a miracle to a genetic issue? That would surely be our Isaac. Or, if we pursued fertility treatments, would we be surpassing God’s intentions and creating an Ishmael? After lengthy prayer, counsel, and study in the Bible, God was very clear what His intentions were for us: the point, once again, was not physical condition; rather it was the fact that God is the Creator of all life, regardless of the mechanism He chooses to employ. Walking in His will and waiting on Him to fulfill His promise would always bring an Isaac. Immediately, you can see one reason we chose Isaac: we share Abraham and Sarah’s longing, the promise they had from God, and God’s faithfulness to provide a child. When Isaac was a boy, God commanded Abraham to take him up the mountain and offer him as a sacrifice. As astounding as this is to readers, we cannot imagine the sheer terror Abraham felt at this command! How would he ever be able to sacrifice the object of such affection and the fulfillment of decades of desire? Yet, this was the Lord’s point: who, Abraham, do you love most? What, Abraham, are you willing to let go of to serve your God? While we certainly did not make a choice to give up our sons physically, we most definitely have had – and continue – to make a choice to give him up emotionally. Cocooning inside our hurt and grief over losing our sons is appealing, comforting in a way. We have the choice to hang on to it, to nurse it, to let Satan inflate it. And, sometimes, we want to cling to that so fiercely! Yet, that is not who we commit to be in this life, nor do we truly want to live in that pit of despair forever. We long ago committed to be followers of Christ, willing to give up everything to do His will and to relate to Him intimately. If we keep this grief and this hurt, we are refusing God’s command to give Him everything. We are allowing a barrier between us and our Lord. And, we do not obey to be pious or good or rewarded. We obey because we so love our God that we want nothing between us and Him. We know that through obedience, He refines us, makes us righteous and holy, and turns our grief into joy. Therefore, just as Abraham obeyed his Father, so do we. Again, our experiential understanding of Abraham makes Isaac a fitting choice for our son. The final reason we chose Isaac is because of his stress. When Abraham took Isaac up on the mountain, Isaac asked his father where the sacrifice would come from. He knew something was off. Though the Bible doesn’t tell us of Isaac’s reaction to Abraham binding him to the altar or holding a knife over him, we can only imagine that Isaac must have felt some distress. And so did our son Isaac. On Monday, Isaac’s protective membrane was lost. He was still in my womb, but no longer protected from bumps and bruises or infection. He was no longer able to develop or be sustained by me. Our little boy was in distress for two and a half days before his misery ended with a tumultuous delivery. While we begged for God to wrestle for our Isaac’s life as he did with Abraham, that was not to be. We do not have an answer for our son’s suffering. We do not have an answer for why this evil was allowed. But we do know that our God promises to turn it into good. We do know that He is using it to refine us. We do trust in God’s eternal plan and we cannot wait for redemption when it is our turn to skip through death. Just as Abraham’s Isaac went on to be used by the Lord in many ways, we pray that our little Isaac would prick your heart for eternity. We do know that eternity with God is at the heart of His plan and pray that you will be there with us and Isaac. What a wonderful way to choose this name for your son. 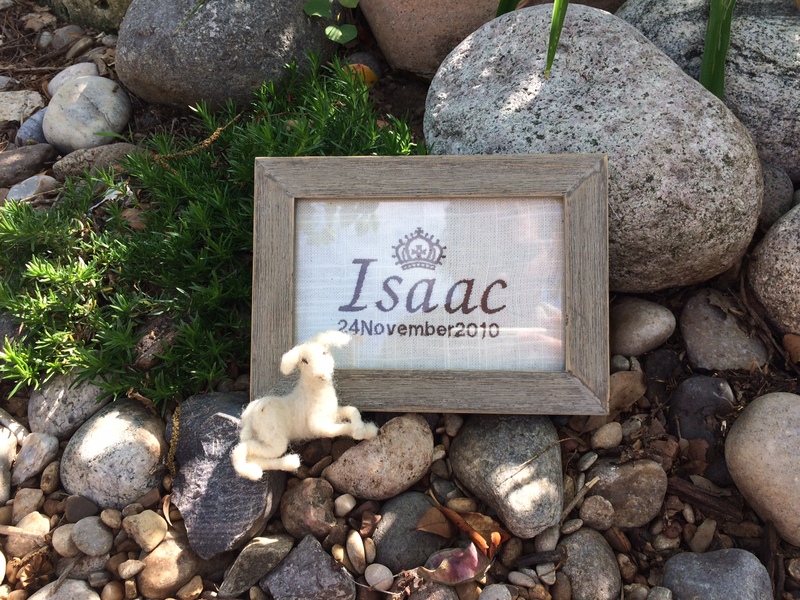 I lost a baby boy Isaac born asleep on 2nd November 2016. I believe I was led to read this as I too need to let go and release the pain and hurt of a second son lost in two years. I almost lost my faith and I started to believe those people who would say that religion is the opium of the people! But loving God is the only thing I know how to do, like a robot that’s my default setting. I mean I can’t deny the times that God has come through in undeniable ways and the testimony I have in meeting my loving, loyal and God fearing husband. I just pray for God to help my faith, cause I know that if I faint in adversity my strength is small! I’ve spent a lot of my spiritual walk reasoning and finding answers to everything and understanding what God is doing but these losses have taught me one thing not to try to reason or reconcile every even, I have asked God why it had to happen especially the second time when we felt our spiritual lives were as good as it could have been. It’s struck me whilst reading what you wrote here that I have never really asked God whether He does want us to have children of our own! I just always assumed it was a given, being married and financially stable. I haven’t prayed for a while but I will try and seek the face of God regarding this as there is no point fighting a battle that cannot be won. Also if the answer is yes I can just relax and know it will happen as God intends it to. Oh, Joy! God loves to give you the delight of your heart. Grieve with Him now. Grieve well. Did you see my resources for grieving? It’s under the 2nd tri loss/pprom/ic heading and says “How I grieved”. God is with you. He understands. He is so faithful and loving and He will be with you, too. Losing your children isn’t a measure of your faith at all – good or bad. Don’t let Satan distract you with that thought! Be strong, cling to the Lord! Joy, I’m unsure how I missed this comment! I pray you are doing well and your faith is restored in the Lord!